It has been a loooong week, to say the least. Being at home last week with the baby meant this week I was on major time crunches to get some projects completed. Instead, I spent literally the entire week on just one. But by golly, I got that thing done! There are few things better (for me) that checking something off a list! Because…I’m sort of a list fanatic. But despite feeling a bit buried at work right now, I can always count on J and Nattie to make me feel better and more relaxed when I am at home. I mean, seeing that baby smile is like…everything. It’s just everything. And watching her lunge forward for the spoon when we feed her is just one of the most adorable things she does. Carrots are a big hit, but surprisingly she was not as fond of avocado. Maybe the texture difference? She’ll love it one day, just like her mama. I have pictures of my mama feeding me guacamole off of a tostada when I was probably a year or so old. Gotta keep up the tradition, right? 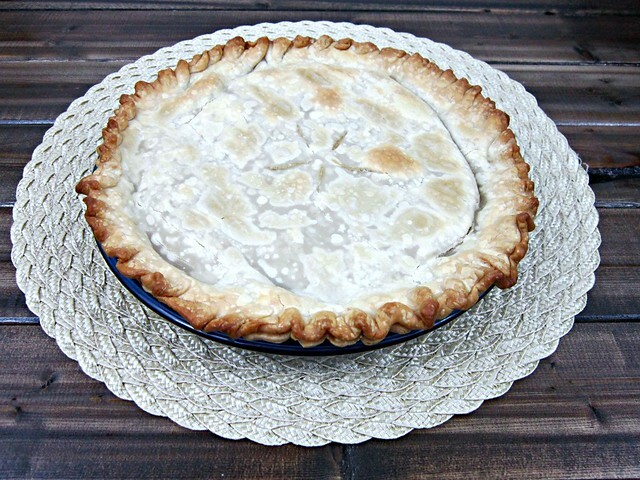 And speaking of childhood memories – do you remember eating those frozen pot pies? I feel like we had them in our freezer periodically and I loved them. I’ve probably only bought them a handful of times as an adult, but whenever someone mentioned having one it always made me think, yum. So when I was menu planning a few months back and J suggested pot pie, how could I pass up the opportunity to make one? Granted, the freezer ones (at least the ones I ever had) are single serving size, and I made one more like an actual pie, but the crust and the filling is all pretty much the same. And oh-so-delicious. The first one I made was turkey. Then I made it again. And then I had the genius idea to make one using venison! Because, as you all know, J is a hunter and our freezer is stocked (and it’s inside now, so there will be no more freezer-in-the-garage-going-out and ruining three deer worth of meat), so I’m always looking for new ways to use it. Not only is it delicious – with the browned, slightly crispy crust and the creamy filling – but, as with most things I cook, it doesn’t take a lot of time. I mean, it bakes for a good half an hour but, the hands-on time is only about 10 minutes. And we like that kind of dinner around our house these days. Quick to prepare so we have more time as a family, with the baby. That, my friends, is a biggie. Because….work, daycare, and commuting leaves us very little time during the week to just hang out together. And that baby girl is growing and changing so much every day, that we don’t want to miss a minute with her! She turned 5 months old yesterday. FIVE MONTHS. HOW?!?! It’s like we just brought her home from the hospital yesterday and now she’s five months old, trying her first foods, and starting to teethe. Hold me. I’m not ready for all this change! But at the same time, it is so, so amazing to watch her grow and learn. She’s really quite an amazing little human, if I do say so myself. I’m not biased or anything. Not one bit. Oh, but back to the pot pie. Seriously folks – this is some good stuff. 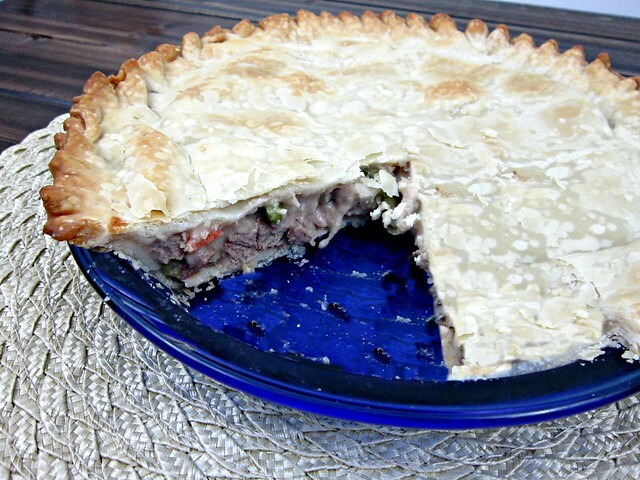 Meat, veggies, and a creamy sauce between flaky, delicious pie crust. I mean, really…just look at that filling? I had to cut a chunk of the top off so you could really see all the goodness. One pie is enough for J and I to have for dinner and then lunch the next day. So, four servings. But, depending on your family and appetites, it could be more. That hubby of mine has a healthy appetite, no doubt. And I do believe our little piglet follows in daddy’s footsteps in that department. She loves her milk! And carrots, so far! And one day, in the not-so-distant future, she’ll be eating all the good stuff mama cooks, too. Like this pot pie. 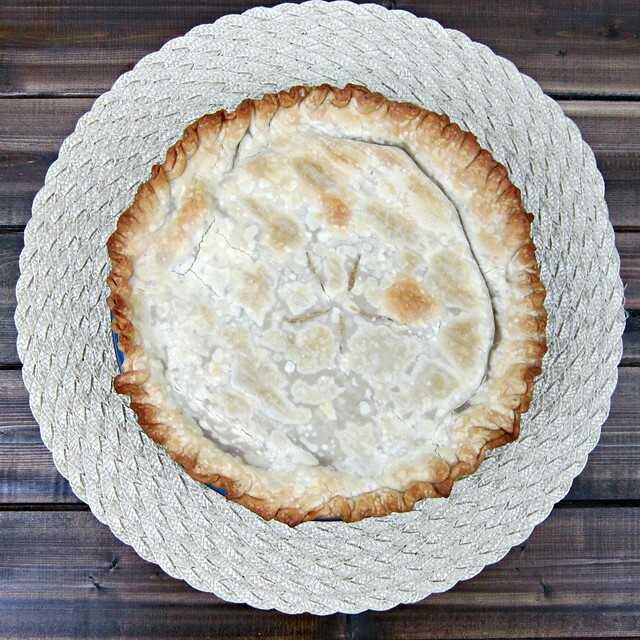 A great twist on a classic comfort food, this pot pie is chock full of venison, vegetables, and a creamy sauce that will leave you warm and full on a cold winter night! In a large skillet, add the cubed venison and cook, stirring periodically, for about 5 minutes, or until cooked through. Remove to a plate and set aside. Using the same skillet (wipe it out, if you prefer), melt butter over medium heat. Stir in flour, salt and pepper until well blended. Gradually stir in broth and milk, cooking and stirring until bubbly and thickened. Add the venison and mixed vegetables,and mix well. Remove from heat. Spoon into crust-lined pie plate. Top with second crust and seal the edges (if you can do the pretty fluting, that always looks nice). 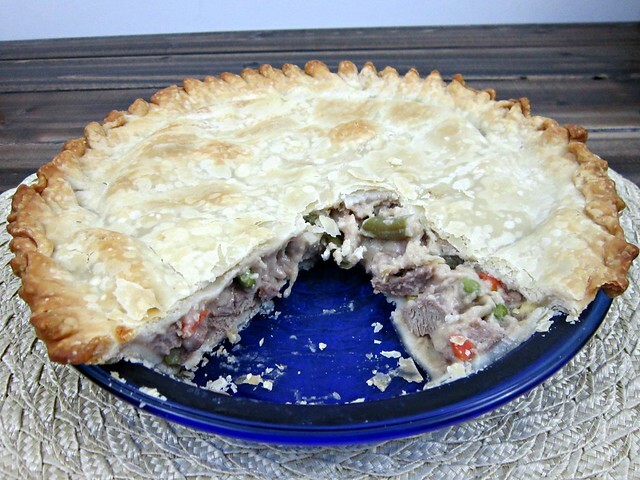 Cut slits in several places in top crust to prevent the filling from bubbling out the sides. Bake 30 to 40 minutes or until crust is golden brown. During last 15 to 20 minutes of baking, cover edge of crust with strips of foil to prevent burning. Let stand 5 minutes before serving.